This year we have been hosting rats in our attic. This is something we’ve never before encountered. It has been A BIG DEAL! When the noise intensified to a frantic scrambling, he heard and investigated. He even drilled a 3-inch hole in the closet wall, set a trap and waited for a varmint to come out. It didn’t work. Neither did the next four holes. But the noise stopped. After about a day, we began to be assaulted with a terrible smell in his office. It was intense in the closet. Unfortunately, that closet wall adjoins our master bedroom. The stench soon permeated all that corner of the house. We turned off that air conditioning system, opened the windows, closed the doors and moved into the guest bedroom on the other side of the house. After the smell dissipated we moved back into our bedroom and hoped it was over. But no, we still had scurrying noises in various places at odd times. I was a little distressed but my husband, who freaks out over simple bugs, went on the warpath. He checked for mouse holes, patched impossible ¼-inch gaps, bought live traps, snap traps, poison bait and moth balls. We got stinky again and discovered a dead rat in a live trap at the top of the stairs. 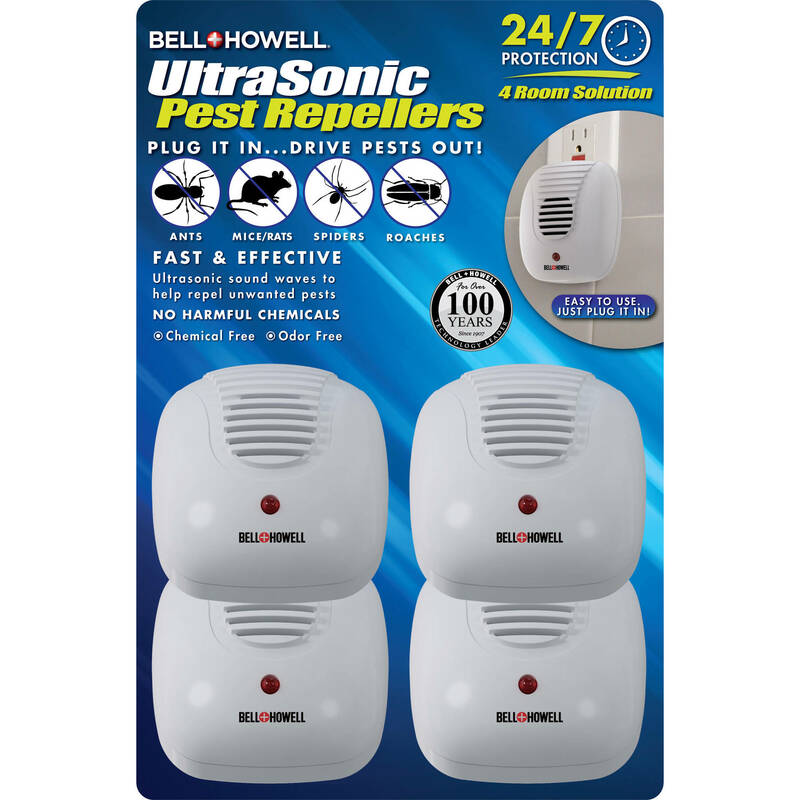 Dan went to Home Depot for more ammo and came back with six “ultrasonic repellents.” We already had a few of those scattered around the house but these were bigger and super-duper, with little red LED lights to show they were working. Blinking red light AND a soft dripping noise! A few hours after he installed them–two in the attic and four throughout the house, we developed a dripping. Drip…drip…drip in the kitchen. Drip…drip…drip in the bathroom. Drip…drip…drip in the living room! It had rained the day before so maybe the gutters need cleaning? Finally I realized the dripping was synchronized with the flashing LED lights. When I complained, my husband, who can’t hear the drip, put little bits of black electrician’s tape over the red lights. Now we had scratching, scrambling and dripping! We called an exterminator, who, for the price of a road trip across the continent, somehow eliminated the scratching and scrambling. Darest I complain about a little dripping? This entry was posted in Short Takes on Life and tagged annoying noises, exterminator, Let it Be, quote by Edgar Allen Poe, rats in the attic, when a mouse dies in the wall. Bookmark the permalink. That was so good, Janet. Thank you for sharing, with us.